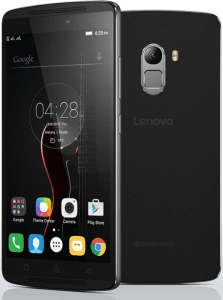 Other than the Vibe S1 Lite, Lenovo's CES 2016 booth also featured the K4 Note, an eight-core, 5.5-inch FHD (Gorilla Glass 3) Android whose key specs include a 3GB LPDDR3 RAM and a fingerprint reader with gesture support. On its back side, it sports a 13-megapixel dual-color-flash camera with the phase-detection autofocus (PDAF) technology, while up front sits a 5-megapixel fixed-focus sub-cam. It also rocks two frontal speakers (1.5W each) that feed Dolby Atmos audio, with a 3-microphone setup for calls. The K4 Note comes with 3300mAh of power alongside a 16GB memory expandable by up to 128GB. Also known as: Lenovo Note K4, Lenovo K4. More Lenovo phones See all the new Lenovo phones. * We cannot guarantee that these specs are accurate. We urge you to do a confirmation of the key specs before making a final choice. Cell phone manufacturers sometimes omit certain functions, making it difficult for us to guess whether or not a specific cell phone has a specific function. If you find an error in this list of features, please let us know as soon as possible.